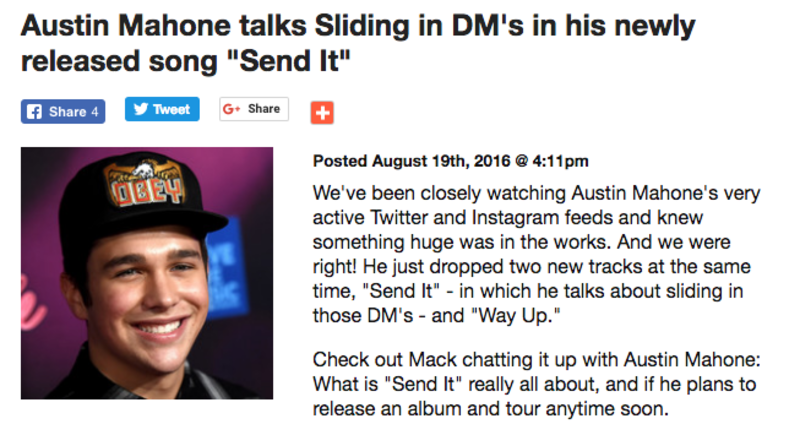 Austin chatted with iHeartRadio recently about his two new songs that were just released: 'Send It' and 'Way Up.' He also mentions that he is planning on releasing more songs soon. Listen to the full interview here. What do you think it is? What would you like him to do?